October 20th – Hell’s Hollow: This is a seasonally appropriate 200k out of Providence, RI hosted by Ted S. (The leader of the popular Narragansett Bridges and Bays 200k.) The route starts from the city and uses bike paths to get out to the country where riders will enjoy scenic rolling terrain in Western Rhode Island, Southern Massachusetts, and Eastern CT. The ride packs a surprising punch! 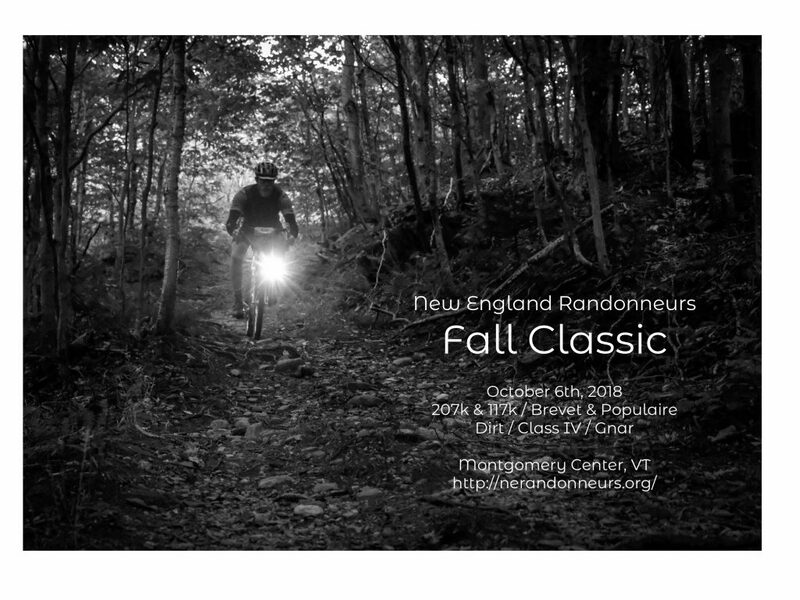 The ride uses some terrific, low traffic rural roads in places NER doesn’t visit often enough and it will be peak foliage for that part of New England. November 3rd – Five Hills: This will be NER’s last 200k of 2018 and one last chance for riders to get a long ride in with the group. The new route visits the same towns as the classic New Boston 200k but the route is entirely different. Riders will leave from Arlington, MA on paths and head through the Northwestern towns of Massachusetts to New Hampshire. From there the climbing begins and there will be five notable climbs before leaving the Granite State and returning back to Arlington for dinner. A great last Brevet of 2018. We thank volunteer Tsun A. for designing the route and leading the ride.